The petitioners in the Writ Petition sought quashing of the order by which the appointment of certain candidates had been approved by the Vice Chancellor, Aligarh Muslim University and the order passed by the Dy. Registrar, Aligarh Muslim University posting the selected candidates. 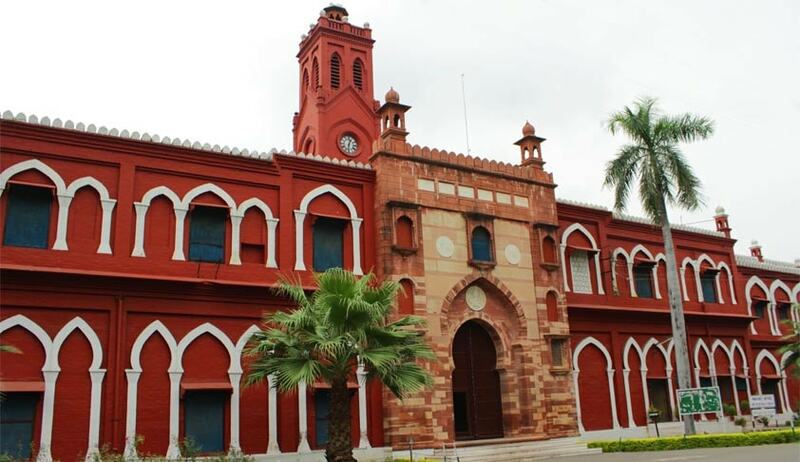 The petitioners also sought quashing of the order passed by the Assistant Registrar, Aligarh Muslim University giving temporary appointments to the 12 wait-list candidates against temporary vacancies on the post of Assistants (Administration). The case of the petitioners was that the University issued an advertisement inviting applications for 61 posts of Assistants (Administration) and the candidates did not have the qualifications to get these posts, which have a pay scale of Rs 9,300 to Rs 34,800, with an additional Rs 4,200 in allowances. According to the rules, the candidates should have the qualification of bachelor's degree from a recognized university, three years' experience as upper division clerks (administration) or equivalent in a government undertaking and knowledge of computers, especially MS Office, which was not fulfilled. The petitioner also complained about the faulty process of recruitment as the university gave temporary appointments to 12 wait-listed candidates against temporary vacancies for the post of assistants (administration). The petitioners contended that University made changes to criteria for selection after the selection processed had commenced. But this change of criteria came to light only when the writ petition was filed. The petitioner also argued that by Central Government/ State Government/ Academic Institution/ Government undertaking it necessarily meant the Central Government of India or the State Government under the Indian Federal Union or in an Academic Institution or Government undertaking in India, whether of the Central Government or the State Government and it certainly did not mean an Academic institution or Government undertaking of a foreign government. He also submitted that salary cannot be the determinative factor for determining equivalence and equivalence has necessarily to be understood with regard to the nature of work performed under the Government or in an academic institution or a Government undertaking under the Central Government or State Government in India. The court called the selection process "illegal,arbitrary and without any authority of law”.It was observed that the select panel of Assistant (Admin) with names of candidates whose eligibility for the post is equivalence of salary drawn by them on different posts, with that of a UDC is an illegal and arbitrary panel which could not have been approved. “In any case by inclusion of names of ineligible persons in the select list, the petitioners have been denied selection.…there is no doubt that the rules of the game have been changed midway of the selection and the new fact of equivalence has been introduced for determining eligibility after the issuance of the Advertisement which renders the entire selection bad in law,” remarked the Court. The Court came down heavily on the university administration by cancelling the appointments and demanded a fresh preparation of the list "as per the rules and regulations." It has issued directions to the respondents to prepare a fresh selection list strictly in accordance with the law. University PRO Rahat Abrar confirmed that 53 appointments had been quashed. "The selection list will be prepared afresh. The official order has been quashed, not the selection process. We will also appeal in the high court," said Deputy Registrar Afsar Khan.reports Times of India.